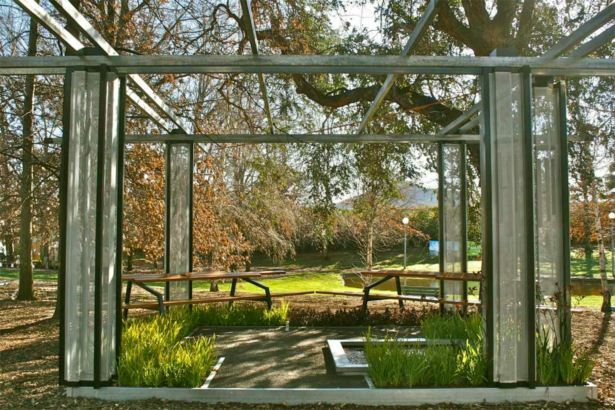 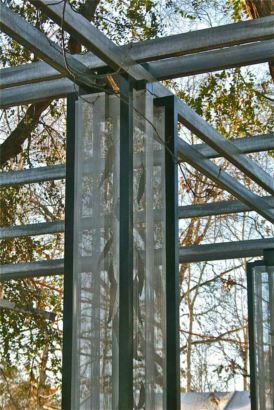 Another showcase garden displayed at Floriade in 2010, this was contemporary twist on a pergola & seating area. 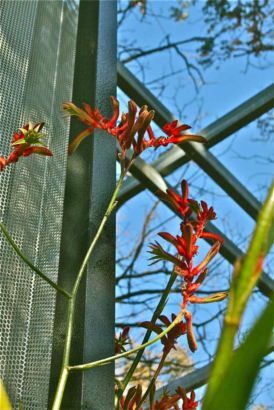 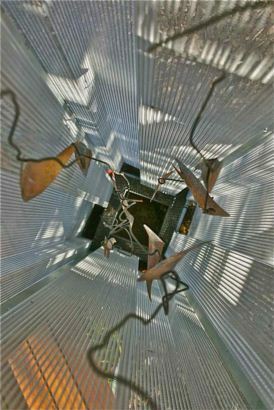 Decorative steel posts with perforated mesh infill, enclose sculpted metal ‘leaves’ & windchimes. 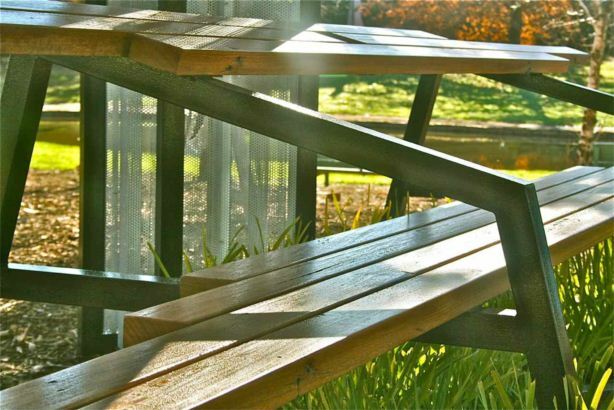 Recycled timber blocks cap the ends of the steel beams, & matching timber & steel framed benches provide seating. 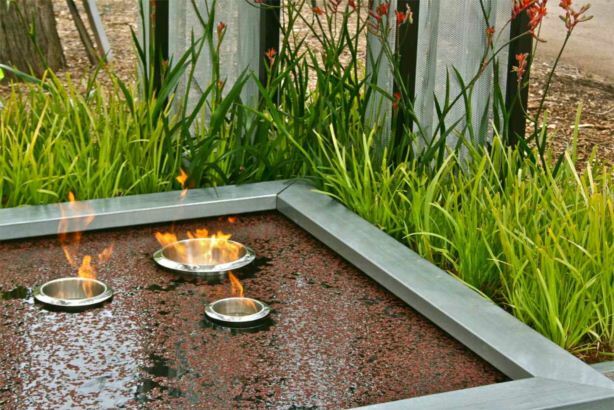 A simple yet contrasting plant scheme frames specimine ‘Kangaroo Paws’ & encloses a simple pond with Duckweed & floating’ fire pots’. 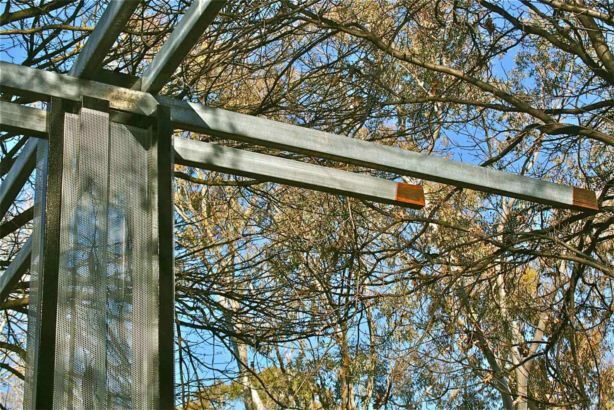 Much thanks to Still Standing Sheetmetal, Canberra Gates & Doors, Thors Hammer, Yarralumla Nursery & ABC Landscaping for invaluable assistance.